Last year my sister announced she was getting married. 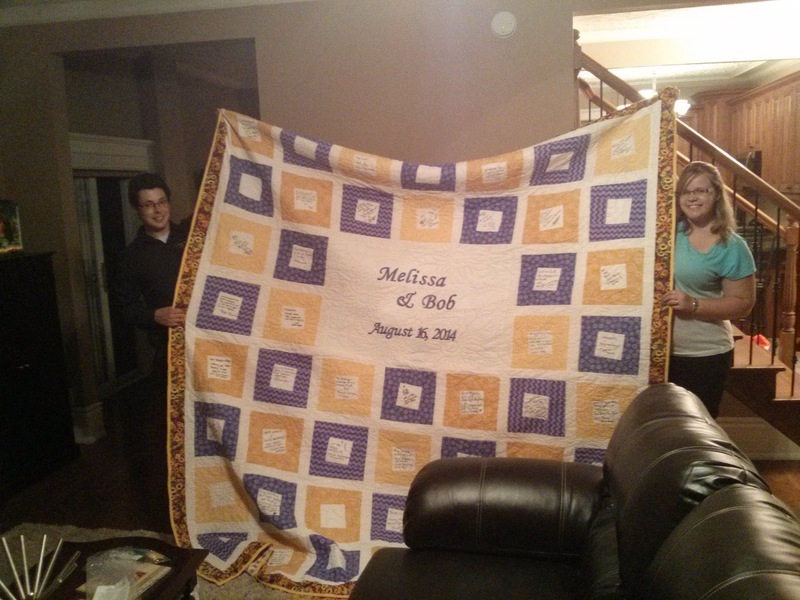 I knew what I wanted to do for her- A quilt of course! As I was talking about colours etc. I asked her about a signature quilt rather than just a regular quilt. So I made up the blocks to take to the wedding and had a station so everyone could sign them. 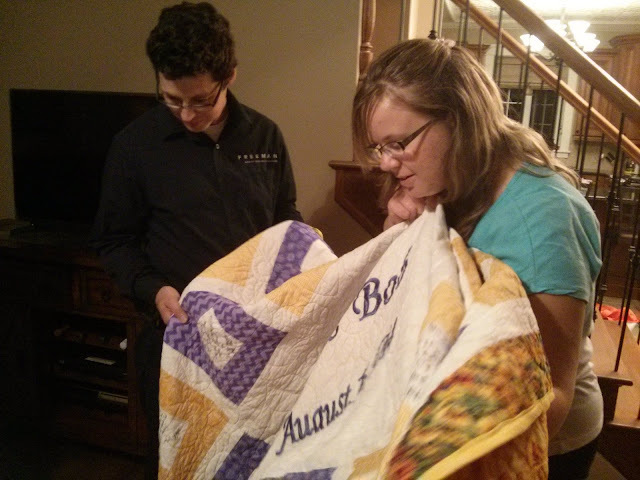 Since that time I was working on getting the blocks together and a backing and getting it to the quilters. I managed to finish it in time to bring it with me to my parents house this summer. Less than a year from her wedding date! I made my goal! this is the back. both were taken at moms house. Dave and I had a plan of going on a road trip without the kids so we took a detour and dropped this off at Melissa and Bobs.